They called it the plague and the creeping crud, but mostly it was known, and feared, as the gunk: a virulent and strange oozing rash that afflicted players across professional hockey in the late 1970s and into the ’80s, forcing several of them out of the game altogether. With today’s news that Chicago Black Hawks’ winger Marian Hossa will be forced to sit out the 2017-18 NHL season due to “a progressive skin disorder,” a look back at a pestilence past. Outer-Body Injury: Minnesota North Stars defenceman Tom Reid — seen here defending goaltender Gump Worsley — retired from the NHL to escape the notorious gunk. “It’s a mystery,” was the diagnosis of Montreal Canadiens coach Scotty Bowman. Doctors called it contact dermatitis, but even they were largely baffled by what exactly it was they were dealing with. “We don’t know what’s going on completely,” a lead investigator, dermatologist Dr. William Schorr, confessed in 1976. 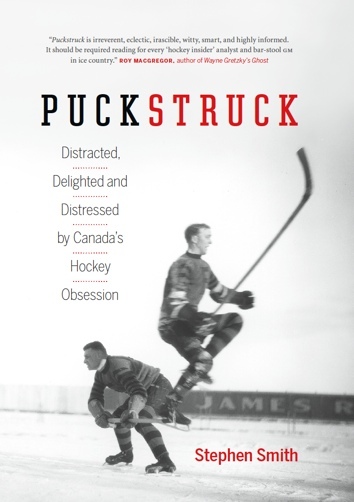 By then, an estimated 70 NHL players were suffering, along with uncounted others in junior and minor leagues. The NHL decided it wasn’t concerned enough by the outbreak to mount its own investigation. “It’s the type of thing the individual clubs themselves would have to be involved in,” executive director Brian O’Neill told The New York Times while Dr. Schorr puzzled over symptoms. By 1979, the U.S. Centre for Disease Control in Atlanta was getting ready to start a study of the rash. No word on where that went. Back in the rinks, most cases of the rash resembled psoriasis, sometimes in its later stages oozing a yellow pus. Often it started on the hands before spreading (or “erupting,” as The Times put it) wherever the player’s body came in contact with his equipment. Was dirty old gear to blame, dyes, detergents, tanning agents from leather? Theories abounded. Was it a nervous condition related to the anxiety of scoring droughts and playoff pressures? A reaction to Zamboni fumes? Fibreglas from sticks? As dermatologists treating players agreed that the rash wasn’t communicable, team trainers struggled to curb it while doing their best to minister to gunk victims with cortisone-based ointments. Guy Lapointe, Lou Nanne, Bill Clement, Rick Vaive, and Dennis Polonich. Players from across the league were afflicted, using all different brands of equipment. None had it worse than Tom Reid. A defenceman who started his career with the Chicago Black Hawks, he went on to ply the blueline for ten years as a Minnesota North Star before finding himself gunked out of the game in 1978. He was getting pills, injections of steroids. He spent 11 days in hospital to start off the 1975-76 season. At one point, he said at the time, he was getting 30 shots a day to help in the relief effort. It was ten years later before doctors came up with anything resembling an answer to the gunk mystery — too late for Reid’s career. In 1988, a member of the Edmonton Oilers’ medical staff was one of those who discovered that one of the causes had to do with the use of formaldehyde in the manufacture of equipment as a way of preventing mildew and maintaining colour. “Once we figured out that was the problem, we had a good, quick solution to it,” Dr. Don Groot told The National Post in 2000. This one: the addition of a cup of powdered milk to the second rinse cycle of a wash, he said, seemed to do away with both the formaldehyde and the gunk it bred.